Aaron Court dedicates itself to fostering a homely atmosphere which remains compatible with the provision of professional personal care. "I would like to place on record the deep appreciation of my family for the outstanding care afforded to my 93 year old father during his last few months. We were so grateful to the staff for the loving way they cared for my father. We were always made to feel most welcome by all the staff whenever we visited." Aaron Court dedicates itself to fostering a homely atmosphere which remains compatible with the provision of professional personal care. We provide an environment which encourages trust and friendship between staff, residents and their families, so that each individual comes to regard Aaron Court as truly their home. 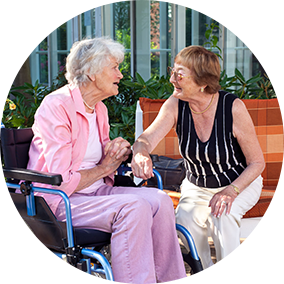 We have been providing a high standard of personalised care to our residents since 1986 and take pride in the reputation we have built in the local community. Set in the peaceful location of Whipton, Aaron Court has been tastefully designed to fit in with surrounding buildings and is conveniently placed for easy access to both central Exeter and the surrounding countryside. The comfortable accommodation consists of 19 single and 2 double bedrooms, all with en-suite facilities. Each bedroom has TV, telephone access and a nurse call system, which ensures prompt attention. There are lounges and communal areas in each of the suites as well as a secure courtyard and private gardens which our residents can enjoy. Aaron Court is staffed 24-hourly by qualified and trained carers. Equipment is supplied for all care needs and medical cover is provided by the local GP practices. Aaron Court is thoroughly committed to ensuring that your individual lifestyle is maintained to a high standard. 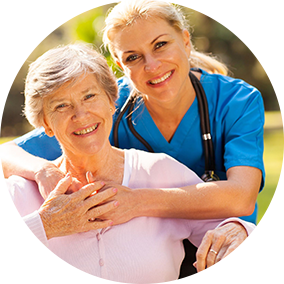 Our aim is to assist you in retaining your independence, dignity and most importantly your right to choose. We actively encourage you to pursue your own hobbies and interests freely whilst maintaining contact with your friends, family, fellow residents and the local community. Moving house is an upheaval that one doesn’t take on lightly. If, in addition, you have decided you need a higher level of care than that which you can provide yourself, then the decision is even harder. There is never a right time to make the decision, so it is wise to look at all the alternatives earlier than later. If you have decided that a residential care home is the right answer for you, then you have probably sent for several brochures. We hope so, because it makes sense to look at every possibility. Our Care Manager and staff are there to provide you with the advice and guidance that you need, to answer your questions and support you in making key decisions, from the initial consultation to assisting you with development of your highly personalised care plan. 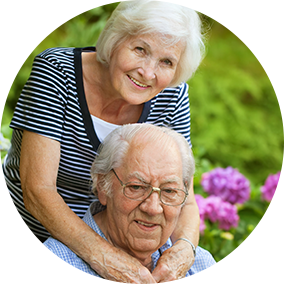 Our aim is to provide you with surroundings in which you can live as you would in your own home, but with the additional security of help and care as and when you need it. At Aaron Court, you will not lose your independence, nor will petty rules and restrictions plague you. You may even find that your independence and mobility increases when you do not have to manage the daily chores of shopping, cooking, cleaning and laundry. Aaron Court provides a fully managed premium service, supporting each resident and their family to ensure the best quality and continuity of care at all times.